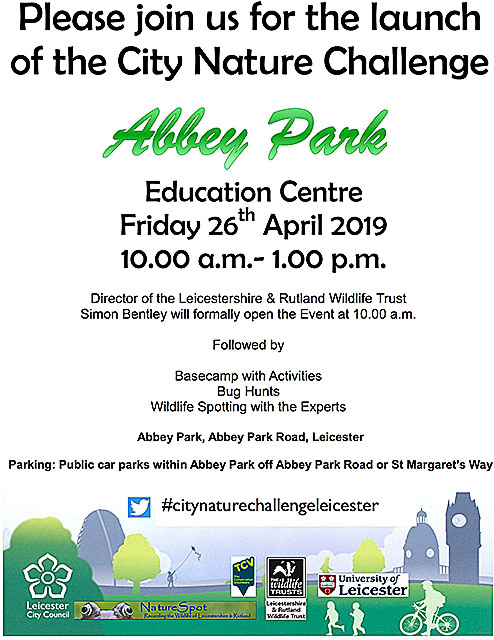 All are welcome to join in with the launch of Leicester's City Nature Challenge. The event will be opened by Simon Bentley, the Director of Leicestershire & Rutland Wildlife Trust. After the press events, the programme of walks and activities will begin.